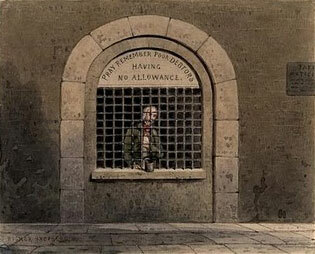 As we said in a previous blog post , you might have thought that “debtors' prisons” were extinct. But people are still being locked up all too often in Washington and around the country simply because they can’t pay their court-ordered financial obligations in a criminal case. These reports document how poor defendants are being jailed at increasingly alarming rates for failing to pay legal debts they can never hope to afford. As ACLU-WA’s press release explains, states across the country, in the face of mounting budget deficits, are more aggressively going after poor people who have already served their criminal sentences. In so doing, officials are undermining individuals’ prospects for re-entering society successfully and are paving their way back to prison or jail – burdening the public with yet more costs. And imprisoning people who are unable to pay fines and court fees is simply counter-productive. What makes us think that putting an indigent person in jail over and over again will result in that person finding the money to pay? Instead, the reports document how we are wasting scarce taxpayer dollars on incarcerating people who have no realistic ability to pay their staggering debts. People in low-paying jobs trying their best to pay for rent, food and supporting their families find their legal debts from a criminal case overwhelming, especially when interest accrues at 12 percent from the day they are sentenced, even while they are still in prison. The debt burden has a devastating impact on offenders struggling to overcome their past and live a productive life. The ACLU report cites a recent Washington case in which the ACLU-WA filed a friend-of-the-court brief: a Spokane man ended up spending 300 days in jail for failing to pay legal debts imposed in his criminal case, even though his original sentence was only 30 days in jail and he explained to the court that he had no way to pay because he was unemployed and homeless. In four other cases in the report, Washington residents describe how the crushing debt burden has driven individuals to the brink of hopelessness. Children in Washington as well as adults are suffering from this system; a 16-year-old girl ended up being convicted instead of having charges dismissed because she wasn’t able to pay the full amount of legal debt in two years, despite her and her mother’s efforts to find employment and support the family through difficult economic times. And in Texas, juveniles are being jailed for failing to pay truancy fines. The ACLU of Texas has filed suit, noting that jailing youth who are unable to pay truancy fines violates the Constitution and perpetuates the "School to Prison Pipeline." The ACLU-WA and social justice allies advocate the passage of legislation that would move Washington toward a more rational approach than “debtors’ prisons.” The state legislature needs to a) reduce the interest accruing on legal debts during periods of incarceration; and b) ban incarceration for failure to pay when the defendant lacks the current ability to pay, thereby saving counties the costs of jailing poor people, when there is no evidence that the jail time improves the person’s ability to pay and, more likely, jail makes it worse. For similar reasons, we also support decriminalizing driving with a suspended license when the only reason for the suspension is a failure to pay traffic tickets or other fees related to driver’s licenses. The news is full of stories about the budget crisis facing our state and counties. Isn’t it time we stopped throwing money away on keeping people poor by jailing them for failing to pay legal debts?